One of my greatest musical regrets is missing an opportunity to see Isis perform shortly before they disbanded. They were the band that got me into the heavier, harsher-vocalled side of metal,1 and remain one of my all-time favorite bands. Fortunately, given their position as genre-definers for post-metal, there are no shortage of imitators out there to scratch the itch. Degraey are an independent Spanish band, here with their second album following 2016’s Chrysalis, and the briefest of listens to Reveries reveals they’re card-carrying members of the “We Miss Isis” club. To be fair to the band, Isis aren’t their only influence. 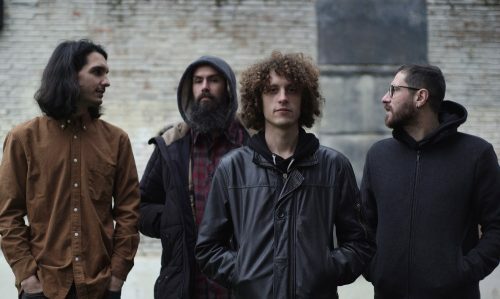 The opening track “Nurture” also draws on fellow Isis followers Cult of Luna, emphasizing the bleaker, colder side of post-metal, with vocals that are almost howled and harsh guitar tones. Parts of the middle of the album echo some of the warmer, more melodic segments of The Ocean‘s work. In both cases, though, the songs have the standard mix of melodic clean guitars and vocals and crushing distorted guitars/harsh vocals. The song structure is very consistent too, for a genre that eschews traditional song structure: every song runs eight-to-ten minutes, and sticks pretty closely to the formula of starting with quieter, cleaner instrumentation, flowing through some heavier passages and back to cleans as the song builds up, culminating dramatically in a distorted crescendo. At no point do they really stray from the basic post-metal template. You’ll notice that the bands I cite above are the titans of the genre, and that’s not just because they’re the best-known reference points. For example, I find myself wanting to hear Obscure Sphinx in the bleaker moments of “Nurture,” but it never quite reaches the oppressive sense of malice that makes that band stand out. This isn’t necessarily a bad thing—after all, the biggest bands are all popular for a good reason—but it does mean that Reveries hangs its success or failure on the strength of the songwriting and performances rather than its originality. Fortunately for the band, while not uniformly great, they’re entirely capable of writing and playing very good songs. No song on the album is wasted space, and there’s enough variety in their influences’ work that they don’t feel like they’re retreading their own songs. The standout track is “Not So Far.” Tonally, it bears more than a passing resemblance to “In Fiction,” but the middle of the song features some genuinely beautiful clean guitar melodies. There’s more great guitar work on the back-half of following track “Woven Conscience,” and the guitars are consistently good throughout the album, particularly on the clean and mildly distorted sections. The production unfortunately isn’t fantastic and does the band a bit of a disservice—it’s serviceable, but it tends to bury the drums under the guitars in the louder passages, and the bass volume is weirdly inconsistent, with a couple of neighbor-annoyingly loud bass hums in particular. There are also some moments where the DR7 master lets it down, with crescendos not actually getting any louder, but again this doesn’t happen every time. 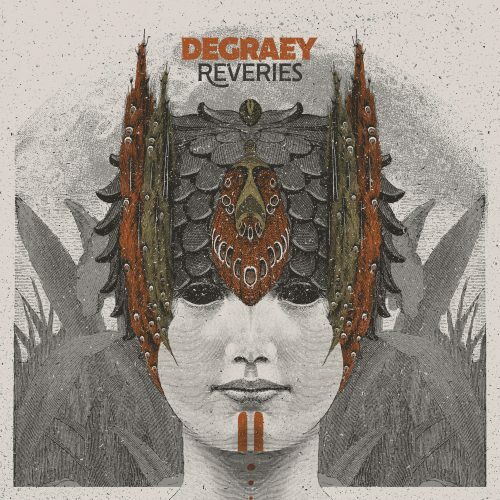 Degraey are clearly a talented bunch, and this is only their second album. I only had a quick listen to Chrysalis, but it sounds like they’ve polished their songwriting and performance a bit more on Reveries. I’ve enjoyed my time with it and it’ll stay on my post-metal playlists. If you too miss Isis, you should consider adding it to yours. I would, however, really encourage the band to experiment with their sound and song structure a little more and find their own identity. I don’t doubt they’re capable of it.